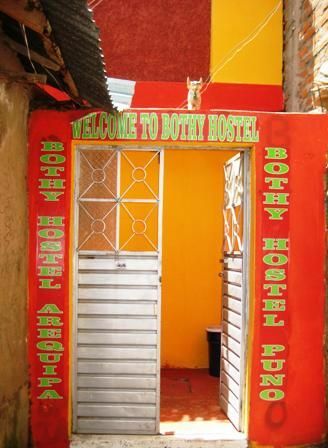 Bothy Backpackers PunoYour Home away from Home!Don't judge a book by its cover, the outside might not be much, but inside you'll enjoy our little paradise!Comfy beds, free WiFi, a movie room and friendly staff await you here!5 minutes from Punos Plaza de Armas! 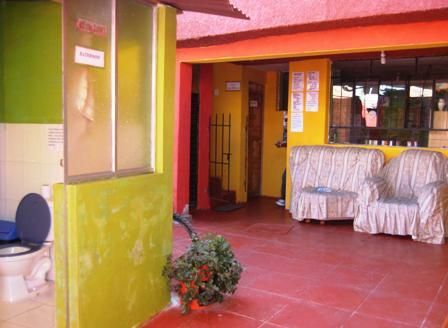 Our Hostel is in a safe and good area of Puno. We offer You dorms but also double rooms. The bathroom have to be shared- everything is clean and we guarantee hot water!From Our beautiful terrace You can see whole the center of Puno. Also we have nice hammocks wher You can just relax and enjoy Your stay in BOTHY!A great breakfast- pancakes will give You a good start in to the day!Our staff can help You choos a tour over the lake titicaca and help You to choos more atractions in Per.WARNING: Please take care with the taxi drivers in the terminal- they will try to change Your mind- they can say You a lot of lies about our hostal-dont trust them- they wanna only bring You in an other hostel where they get a 'commsson' for YOU!We are waiting YOU! 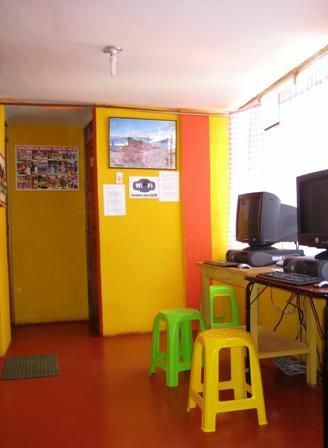 The Hostel is located 4 blocks from Puno's main plaza- Plaza de Armas. Tell the taxi driver You have a reservation in Bothy .Give our address, and don`t TRUST him what he says/means about Us. We always have avilabilty for you! The taxi cost about 4 soles from the main terminal.We are looking forward to see you soon in Bothy!Warning!! !Please be aware of the people in the bus terminal in Puno that will hassle You for tours and try swindle money from You! They may not be legitimate tour operators and they dont work for Bothy. First come to Bothy and then we will HELP You to choose and book a tour!The hostel has an own transfer from the bus station: Price 10 soles.If you are arriving from the airport Juliaca: Price 90 soles.